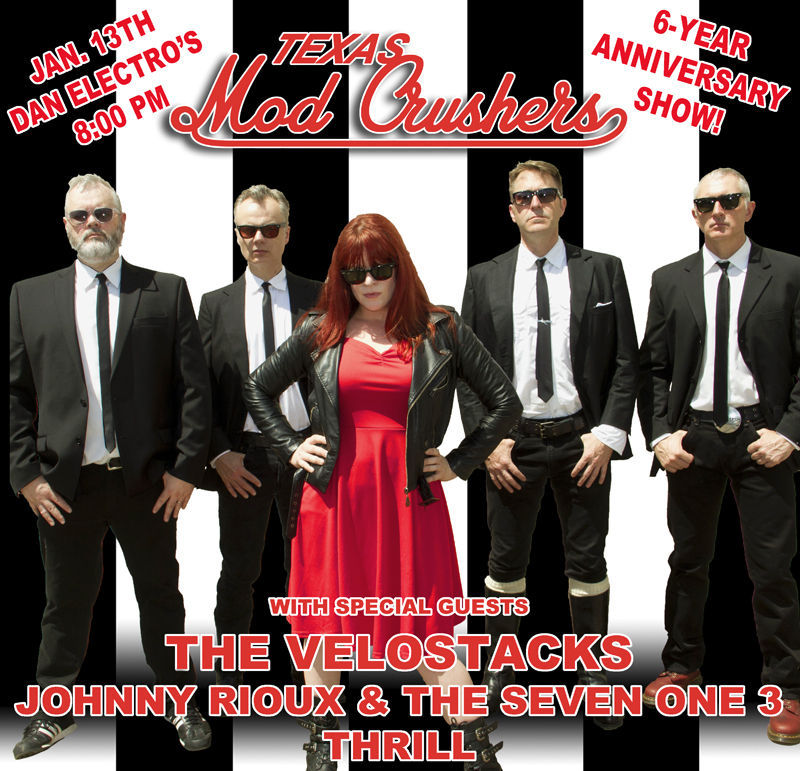 In December of 2011 your Texas Mod Crushers played in public for the very first time. We crashed a blues jam at Dan Electro’s, and played the only four songs we knew at the time. We’ve learned a few more since then, and we’d love to play them for you on January 13th. Hope to see you there.